Biomedical engineer specialized in Information Technologies and Agile Mobile Development (vittoriotauro@ab-acus.eu), graduated at Politecnico di Milano in 2015. He is in Ab.Acus from September 2015, in quality of IT and Mobile Researcher and Consultant, collaborating with many companies near Milan to generate in-house innovation. 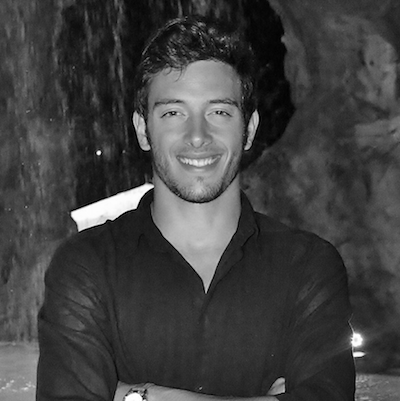 His thesis’ work was based on the conceptual and logic design (Web Frontend/Backend – Mobile and Database) and the subsequent development of an agile solution for nutrigenomics research in the context of a large epidemiological study, in collaboration with KosGenetics and eHealthLab of Politecnico di Milano. At present, he is involved in the management of development stage and Technical design of Ab.Acus Cloud repository and Ab.Acus core Applications. Part of his jobs is work on the SocialCar project (a full-integrated crossplatform solution for the improvement of city mobility) providing his UI/UX expertise and development skills.